Portland is a happening, thriving city in Oregon. Best known for its coffee and craft beer Portland is fast becoming one of the most popular cities in the United States of America. With an eco-friendly mindset Portland is modern, open minded and incredibly welcoming. There is a wealth of culture and history to explore. From the Museum of Science and Industry, to Pioneer Courthouse Square to Pittock Mansion there is heaps to discover in Portland. Once you have ticked off every item on your Portland Bucket List it’s time to get exploring further afield. Easily one of the most picturesque landscapes in Oregon state, Mount Hood is a beautiful natural wonder to explore. 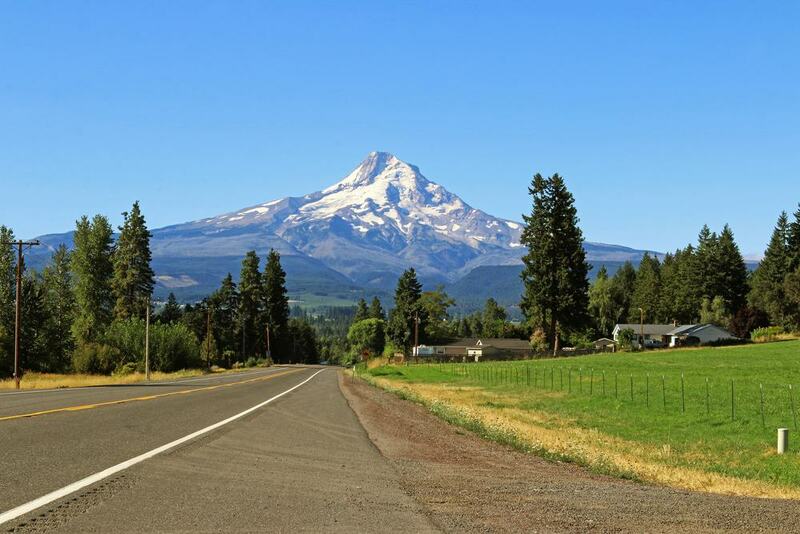 Known by the native Multnomah tribe as ‘Wy’east’ Mount Hood is in fact an active volcano. There are a range of gentle walks and more challenging hikes through the foothills, forests and along the rivers of Mount Hood. The charming town of Hood River is home to dozens of quaint, locally run restaurants from which you can dine and marvel at the magnificence of Mount Hood and too Mount Adams. It is possible to spend a day tearing up the slopes on the Mount Hood ski fields. The Willamette Valley is the first and only destination suitable for budding sommeliers and those with a discerning palate, who are visiting Oregon. 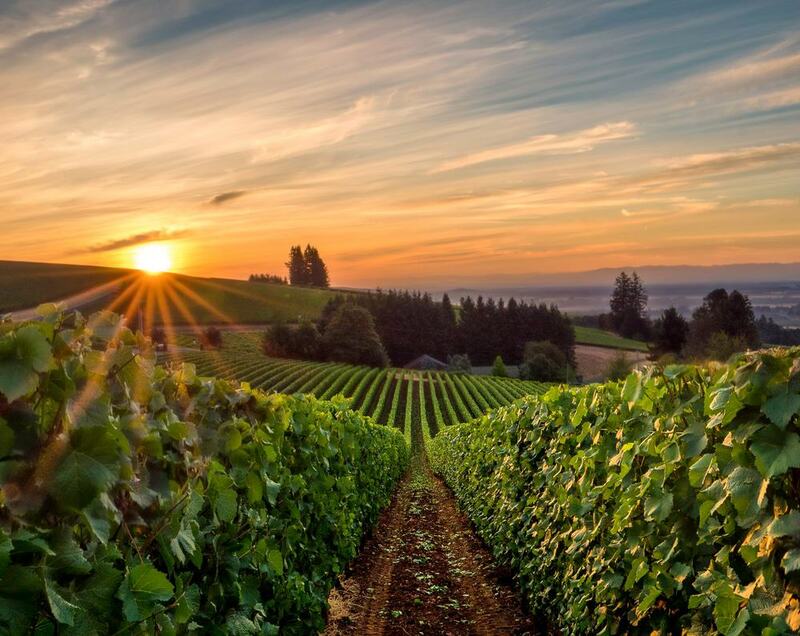 A valley world-renowned for its wineries, a day tour of the Willamette Valley is a real treat. Spend the day driving along the scenic winding roads and hop from one winery to another. This area is famed for producing some of the best Pinot Noir in the world. During a day trip you can not only taste the wines produced in the Willamette Valley but also learn about the cool-climate production processes, the unique volcanic soil of the area and how these together give the wines their distinct flavours. 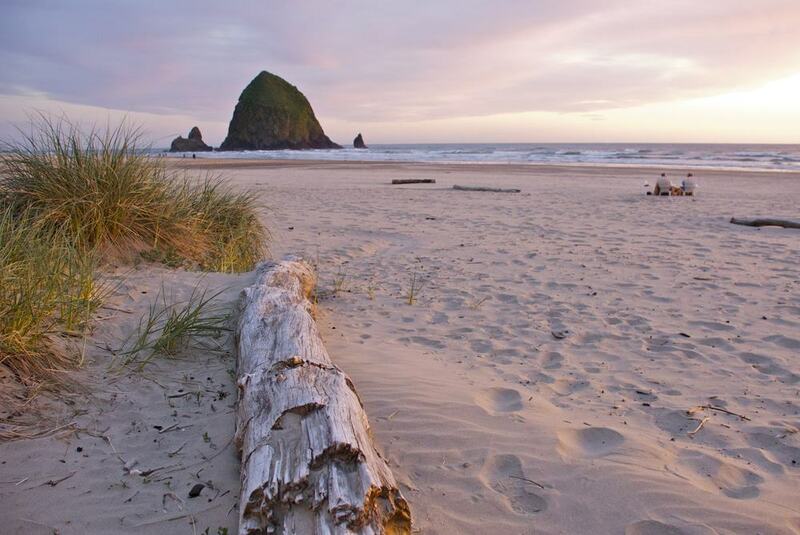 Should you be seeking to swap the city smoke for the brisk sea air then Cannon Beach is the place to head. Loved by locals and international visitors alike, Cannon Beach is best known for its vast, sandy beach and Haystack Rock. You could easily spend a day relaxing with a book and a picnic on Cannon Beach but if you like to be more active there is plenty to explore. Head over the headland and walk through Ecola State Park. Perhaps head south towards Arcadia Beach that features gorgeous, twinkling tide pools. There are dozens of beachy boutiques to browse in Cannon Beach town itself. Columbia River Gorge is probably the most photogenic spot within a days reach of Portland; giving Mount Hood a run for its money for sure. Multnomah Falls is the most iconic part of the Columbia River Gorge landscape and is in fact the second highest year round waterfall in the United States of America. Along the hiking trail you’ll also have the chance to marvel and gawp in awe of the Latourell Falls, Bridal Veil Falls and Wahkeena Falls. 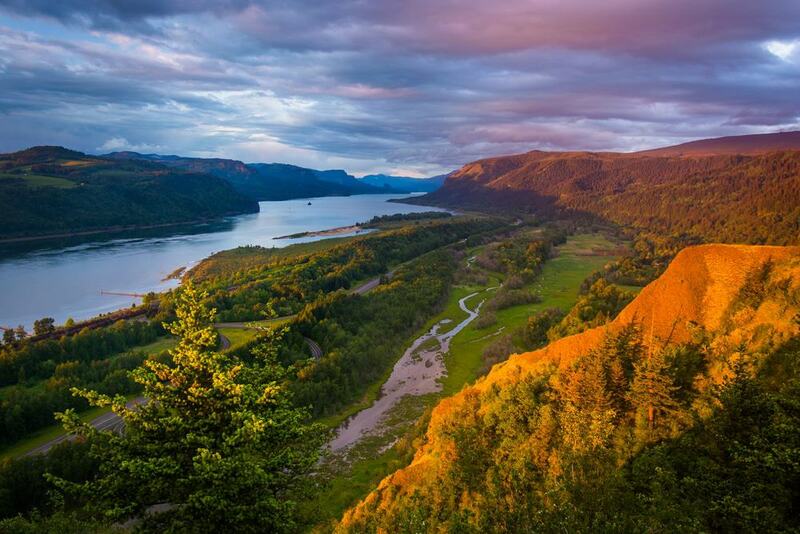 It is possible to spend a whole day hiking in Columbia River Gorge but if you want to cram as much in as possible then your best bet is to drive from one scenic spot to the next. Having last erupted in 2008, Mount St Helens is still very much an active volcano. 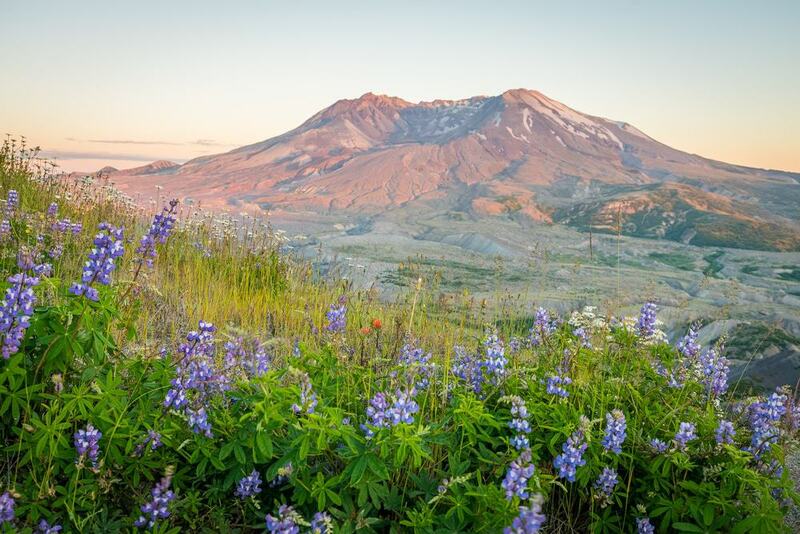 Mount St Helens sits in Washington State but is just 50-miles northeast of Portland, as such it is a very accessible day trip. At the Mount St Helens Visitor Centre you can find out about the moments that lead up to the volcano’s most prolific eruption in May 1980. You can too learn about the geology of volcanoes and see a functioning seismograph that displays the seismicity of Mount St Helens via a live feed. From the Johnston Ridge Observatory you can take in amazing views of the smouldering crater. Artsy and eco-minded the city of Eugene mirrors the atmosphere of Portland but on a smaller scale. 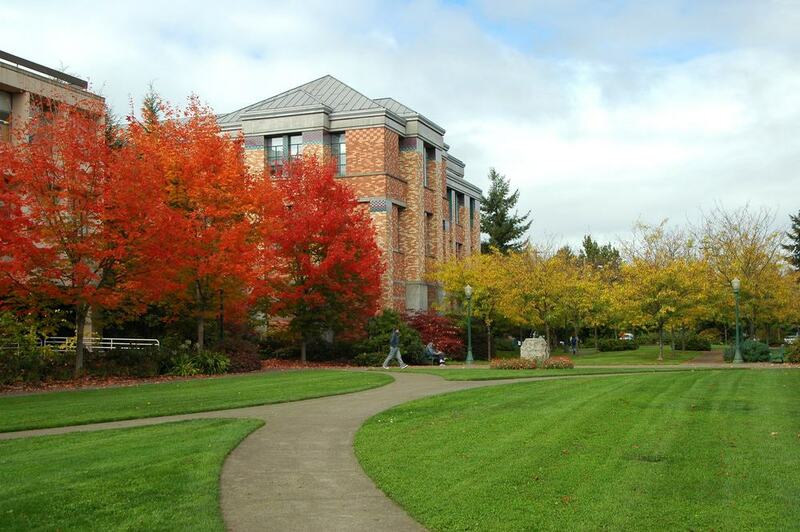 Eugene sits on the banks of the Willamette River and is home to the University of Oregon. As such there is a thriving community feel and there are always events, music concerts and theatre performances happening throughout the city. Alton Baker Park is a wonderful place to spend an afternoon, as is Hendricks Park. If you fancy a touch of shopping, wining and dining then head to Fifth Street Public Market where you’ll find a wonderful selection of organic cafes and boutique stores. Portland is famed for its thriving microbrewery and craft brewery community so it seems only right to dedicate a day to discover them all…or nearly all of them at least. Visiting the local breweries is not only a great way to widen your knowledge of brews but to get to know the locals too. Many of the breweries in the area have been established by local people who have a passion for Portland, and pints. With so many to choose from it is difficult to know where to start. 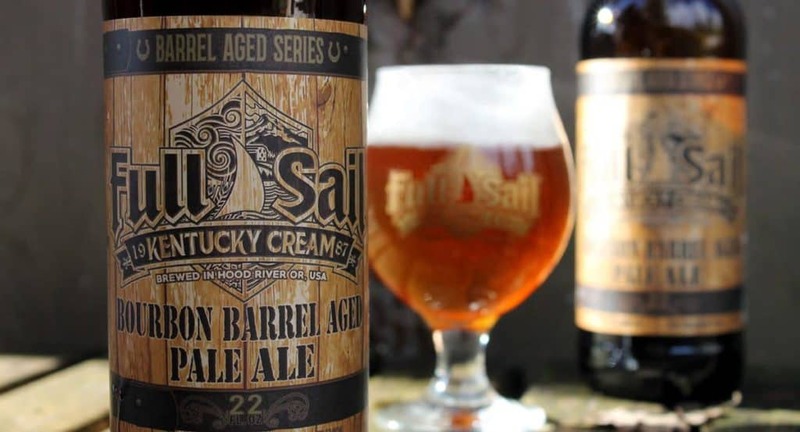 Full Sail Brewery, Widmer Brothers and Lucky Lab are all rather popular, as is Pyramid Brewery and Chapel Pub Brewery too. 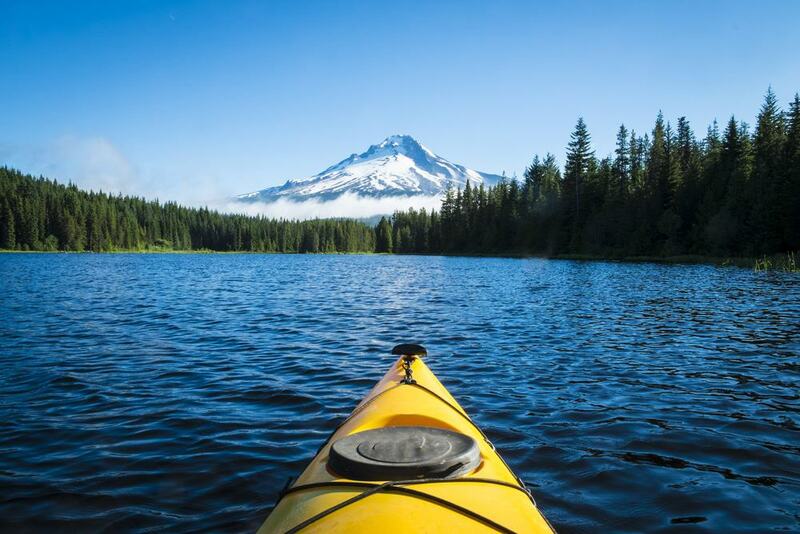 Sitting at the base of Mount Hood is one of Oregon’s best kept secrets, Trillium Lake. This idyllic spot is perfect for picnics, romantic strolls or even a casual kayak. There are plenty of safe BBQ areas on the shores of Trillium Lake so feel free to stock up the cool box and head out with the gang. Clean and crystal clear, swimming is permitted in Trillium Lake, although it’s more than a little brisk in the winter. There are no outlets from which to hire kayaks or paddle boards but you can bring your own for sure. If you’re looking for an outdoor day out for all the family picturesque Trillium Lake is just the ticket. 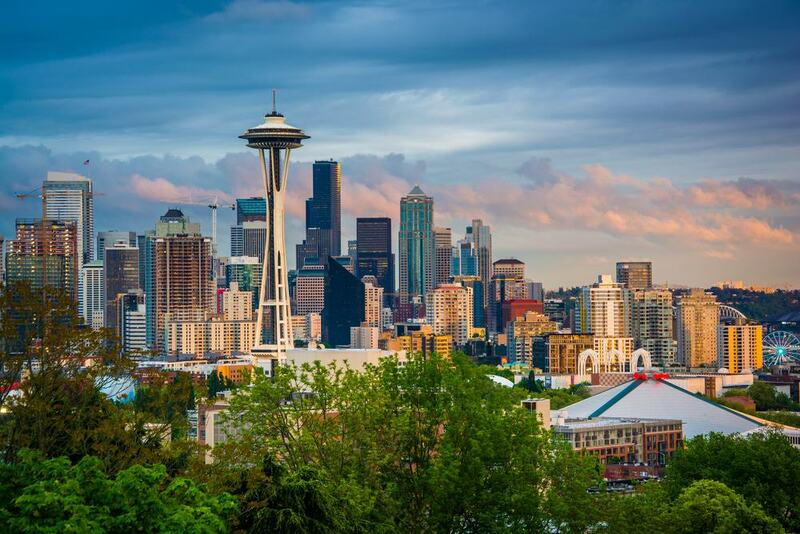 The city of Seattle is not only the setting for Grey’s Anatomy and Twin Peaks but home to some of the best cafes and bars in all of the United States, and some pretty amazing outdoor activities too. Organic restaurants like Local 360 are not to be missed, nor should Portage Bay Cafe or Unicorn Bar. In all fairness you could easily spend a day trip to Seattle hopping from one eatery to another. Naturally, the Space Needle will be high on your bucket list for Seattle, as should the Pike Place Market. If you want to get outdoors you can take a boat tour of the Seattle Locks or stroll around Kerry Park. If you are seeking a relaxed and somewhat passive day trip then Rowena Crest is the perfect place to head. 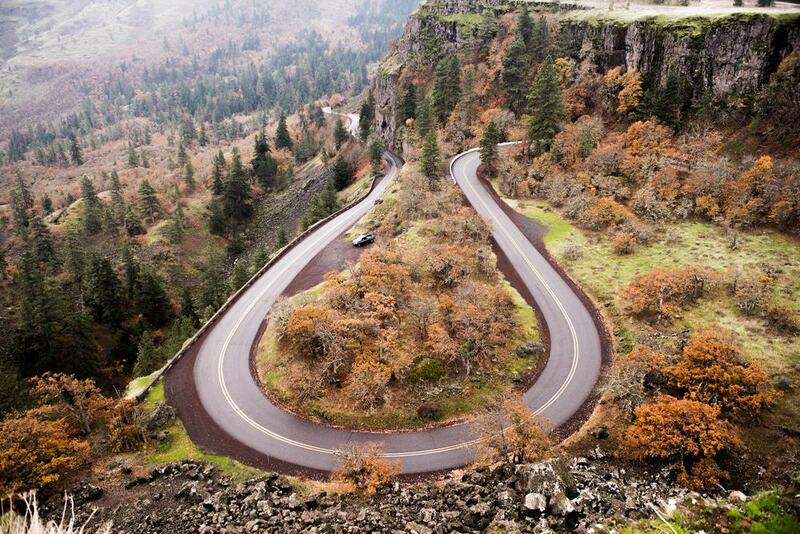 Take a steady drive from Portland city centre out to the Rowena Crest Viewpoint. Here you can pitch up with a picnic table, snacks and a book or if you’re feeling a little more adventurous don the hiking boots and head out on a walking trail. The walking routes around Rowena Crest are gentle, easy and suitable for all fitness levels. Everywhere you turn is a breathtaking landscape vista, each more impressive than the last. The tiny coastal city of Yachats is a true hidden gem and there is so much rugged coastal landscape to explore. 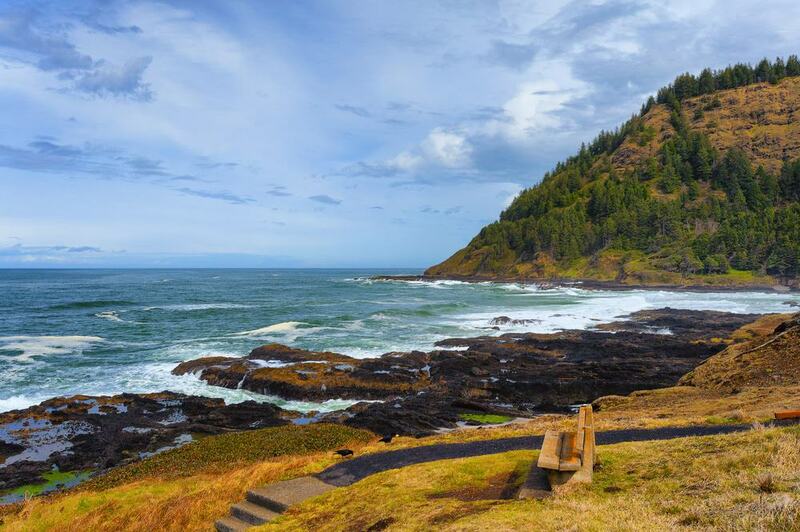 You can hike across the headlands of Cape Perpetua and look out into the Pacific Ocean and look for whales. Thor’s Well is one of the most impressive coastal features you will ever encounter, closely followed by Devil’s Churn. Yachats is home to an incredible selection of fine dining restaurants. In the city you will find galleries, quaint boutique shops and plenty of coffee shops. Naturally, being a coastal city Yachats has a great selection of ice cream shops too. If you are interested in wildlife then the best day trip from Portland for you is surely Sea Lion Caves. 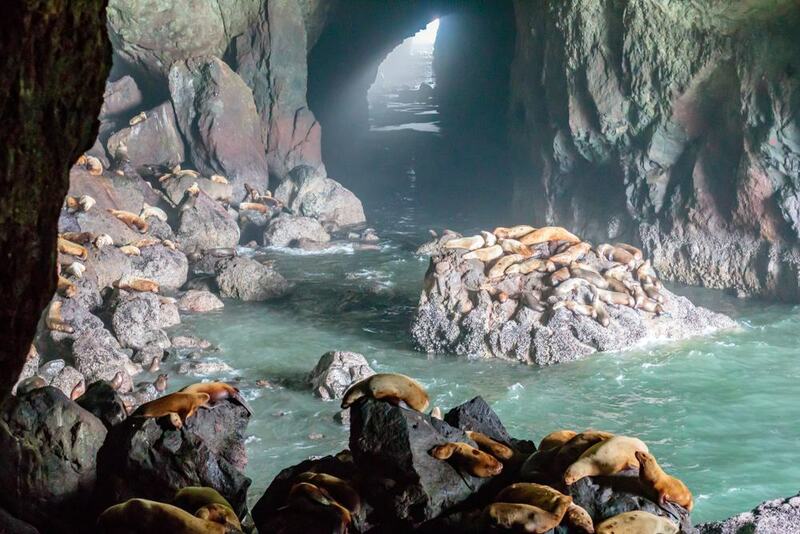 This magical spot is home to dozens of healthy wild sea lions who are a joy to observe. Famously slow movers, sea lions are the perfect species to muse upon while you improve your photography skills, they are not going anywhere in a hurry. Along the coastal drive you will see the odd sea lion here or there, but in order to see the bigger colony you must head to the Sea Lions Caves centre and take the elevator down to the caves below to be in with a chance of watching these endearing animals do their thing. 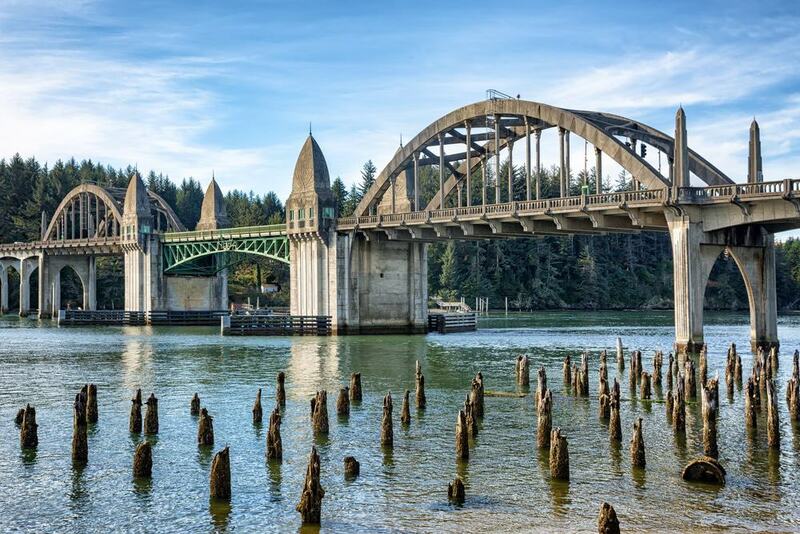 The small, but perfectly formed, city of Florence lies at the mouth of the Siuslaw River. In Florence you can explore the charming, historic Old Town home to locally run stores and cafes. You can head out to the windswept Oregon Dunes and simply take in the vast expanse of this ancient dune system. If you are short on time or wish to make the most of every moment of your day trip from Portland it is possible to visit Yachats and Florence in one busy day, even cram in a visit to the Sea Lion Caves too. Tucked away in Oregon’s High Desert is Smith Rock State Park, an incredible, rugged and rocky landscape that is just waiting to be explored. 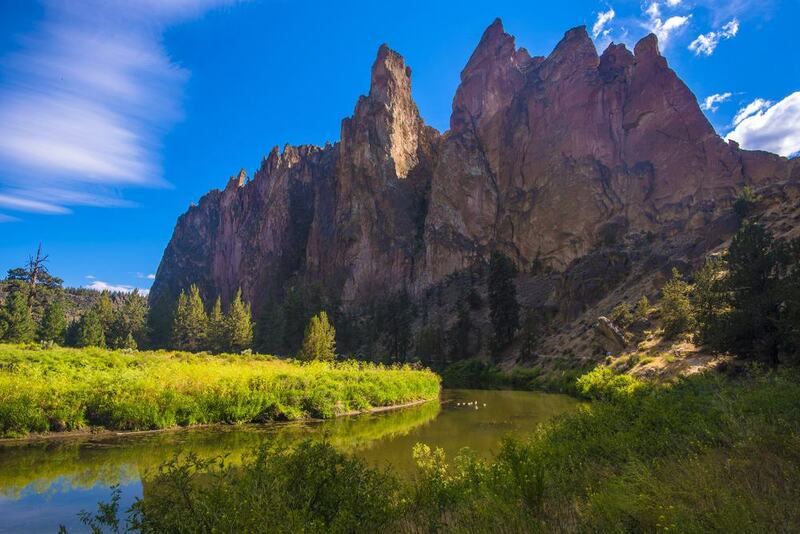 Those who enjoy a challenging hike, bouldering or rock climbing will have their hearts set on visiting Smith Rock State Park for sure. There are some fantastic mountain biking trails around Smith Rock State Park so if you have your own set of wheels be sure to bring them along. This little gem is considered to be one of the seven wonders of Oregon and is certainly not to be missed. 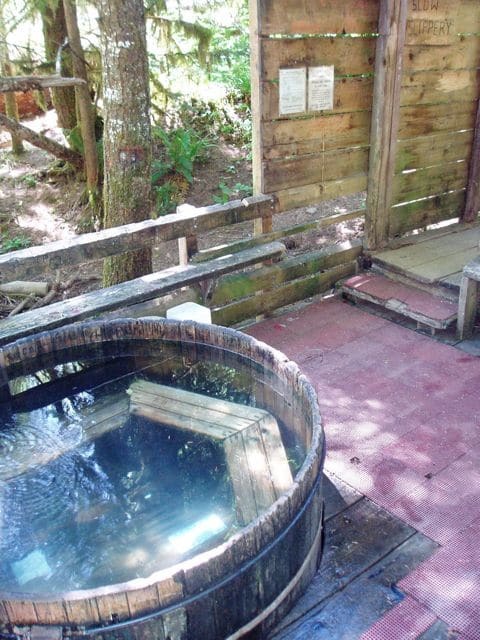 The Bagby Hot Springs are another of Oregon’s hidden gems and lie about 67-miles from the centre of Portland. These natural hot springs can be found inside the Mount Hood National Forest and there are plenty of choose from. You have the option to soak in the private deck, the public deck or the upper deck. Entry is just $5 and will surely be the best $5 you spend all year. The springs were discovered in 1880 by Bob Bagby and in the 1920 they were opened to the public. You can access the Bagby Hot Springs by taking the 1.5-mile signposted walk through the national forest.